Little Math already comes with a built-in curriculum (your choice of 6-months or 12-months). This means you can start lessons right off the bat without worrying about needing to figure out what to teach! Switch between rapid flashing for right-brain learning and multisensory modes! 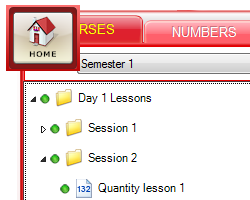 You can also change fonts, colors and letter-casing for numbers and words in your lessons. 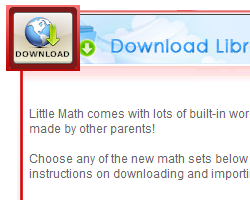 Little Math lets you to teach math using whatever method you prefer! 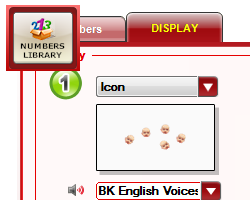 Flexible options let you change the number range for your lessons, and you can customize your child's learning experience with different icon sets and voice recordings, too! Once you feel your child is ready for new lessons, you can personally create new ones in an easy and stress-free way! Expand your child's learning library by downloading additional icon sets and premade lessons from our online community and importing them into your Little Math! These lessons allow you to continue your math learning even after you finished the curriculum! 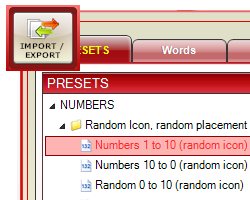 With the Export function, you can save your presets and icon sets and then share them with other parents and families who have Little Math! 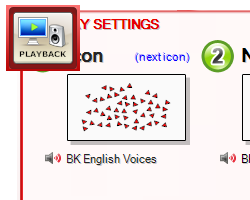 You can also choose to upload your files to the BrillKids Forums and share your lessons with other families!